​Joe was born October 20, 1946 and has spent most of his life living in Forest Park. After receiving his draft notice while in college, Joe decided not to take a military deferment after talking with his father who served in WW II receiving three purple Hearts, three Bronze Stars and several combat medals. With 20 cousins who joined the military and did not get drafted, Joe decided to join the family ranks and enlisted in the U.S. Airforce on October 1, 1965. 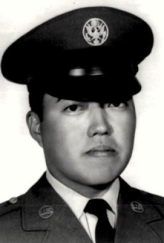 His service spanned the years of 1965-1973 where he served two tours in Vietnam. Joe chose the U. S. Air Force because of his strong communication and language skills as he hoped to engage in radio communications during combat. His training included learning the Vietnamese language, infantry and para trooper training, and jungle training before deploying to Da Nang at the age of 19 in 1966. His job was to stop infiltration of Viet Cong along the Ho Chi Minh Trail and the DMZ. 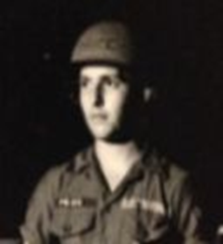 Joe sustained injuries incurred when a rocket bombed his unit’s barracks and received a Purple Heart for bravery for assisting his injured fellow soldiers to flee to safety while he himself was injured. In 1968, Joe returned home for a 30 day leave, then voluntarily returned to Vietnam after the Tet Offensive, which was one of the largest military campaigns during the war, where he received Army and Air Force Commendation Medals. He left the Air Force with the rank of Staff Sergeant. Following his military service, Joe has contributed much to Forest Park. He has been a village commissioner, a police officer, and has forwarded continual projects for the development of the Forest Park community. Joe continues to hold strong ties to his Air Force Band of Brothers as well as being active in local veteran’s activities. Six dialects in the Vietnamese language and that he would learn 3 of them in the 9 months. ​ Stopped infiltration of Viet Cong along the Ho Chi Minh Trail and the DMZ. Received both Army and Air Force Commendation Medals. I could hear Teddy yelling, but I couldn’t get to him because the second floor had caved in, right in the middle of the barracks right onto the first floor, there was all sorts of stuff. Lockers were turned over, guys were yelling for help, you’d try to get out and somebody’d grab you..... Then all of a sudden, Marines started coming in and they had just come back off a patrol...... they came into our bunkers and they had medics with them, thank God. I tried to talk to him and he was all doped up and I asked him, “How are you feeling? Teddy said, “Pretty good, pretty good.”........ And, just like that, I still remember him laying in there........They put him on an aircraft and took him to Tatchikawa (Japan) which was a big hospital where they stabilized you....there was a pretty good chance they could save your life......they amputated his left leg.......A guy got the telephones hooked up and I got to talk to him. They amputated his right arm, they amputated his left leg....... I thought that Ted had died in Tatchikawa. And for years I never tried to hook up with anybody and all of a sudden there’s this thing called ‘Together We Served.’ I tried to look him up on that. They had a guy helping me and he said, there’s was a guy, but he lives in Virginia, but it doesn’t look like he’s going to live that much longer. I called the number and I left a message so I figured it was the wrong Teddy........ But then, I looked up a thing for Jim Price, a memorial, and they had all of his information, when he was killed, where he was......So I put a memorial in. I said I was there with you, Teddy....and I put my telephone number down. And about 8 months later, I got a telephone call...... I said hello? And he said, “Is this Joe Shotsburns?” “Teddy!” I almost dropped the phone. I said, “Where are you calling from, are you calling from upstairs or downstairs?” He said, “Well I’m calling from Florida. Where the hell are you?” and I said, “Well, you know I thought you were dead. They told us you were dead.” He said, “Well, I’m alive. I’m down here in Florida!” So we started talking on the phone, then he said it gets too expensive, so we started communicating on the computer. I made arrangements to go down and see him and he said he’d pick me up at the airport. ​ “You know, there was a guy that I felt I left. I’d wake up at night thinking about that—if I would have pushed harder on something could I have gotten in there? Or should I have run around the other way and went through the hole instead of going to the front? Or going around the front, and then going down? It was like he knew that I did everything I could to get to him..........This will be my fourth time going down. I try to do it once a year. .....We’re going to keep on going as long as we can with this. ....... that’s the way we were together in Vietnam.